Astrologically Diamond is the birthstone of April. It is also the gemstone for the 10th and 60th anniversary. 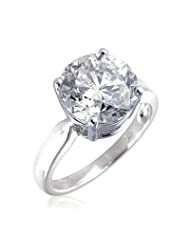 Diamond is supposed to strengthen the planet Venus to increase luxury and enjoyment in your life. If you are a Virgo then according to Vedic astrology Diamond is the right gemstone for you. The glittering colour, the four perfect cleavage directions and its endurability has made it the most popular gemstone. For the interest of Chemistry student Diamond is nothing but a carbon. It is a polymorph of Carbon just like Graphite. Its chemical formula is “C” and only “C”. It’s a native element and belongs to the sub-class Non-metallic. Diamonds are available in wide variety of colors like Blue, pink, white, yellow. The diamond processing industry values the brown diamond much more, which comes in three varieties called Champagne, Cognac and Coffee. For the Physics students, its hardness is perfect 10 out of 10 in mohs hardness scale. Diamond is the hardest substance, gifted by nature. Just for the sake of interest, Diamond is four times harder than Sapphire or Ruby. Diamond can scratch any other mineral and the myth, “Diamond can only cut a diamond”, is true. The clarity of Diamond is transparent. The specific Gravity of Diamond is 3.5, which is well above the average. Diamond conducts heat the best. For comparison purpose, its five times better than Silver. At this scenario of this very best, the Melting point of Diamond is 3820 Kelvin and the Lattice density is also the highest. Definitely Diamond is empowered with many excellent properties to become the first choice, but again the myth of its indestructible or eternity has been proved to be a foolish notion. Diamonds are available all over the world. Mostly it is available in Australia, Arkansas, Africa, Botswana, Brazil, Canada, Congo, and Russia etc. A large mine in South Africa has started its operation just five years back. Diamonds have been used in treatment of mankind for ages. Medical sciences have been able to find its remedial utilities in several accidental and usual disorders due to injuries, fracturing of bones etc. It is supposed to be highly effective in several brain diseases and nervous system disorders. Diamond even helps to control the hormone sequence of the human body.